This is one of those shots I should really flip over so the tree is upright and see if anyone figures out the photo is upside down. Since starting this photo blog, I never look at puddles the same. 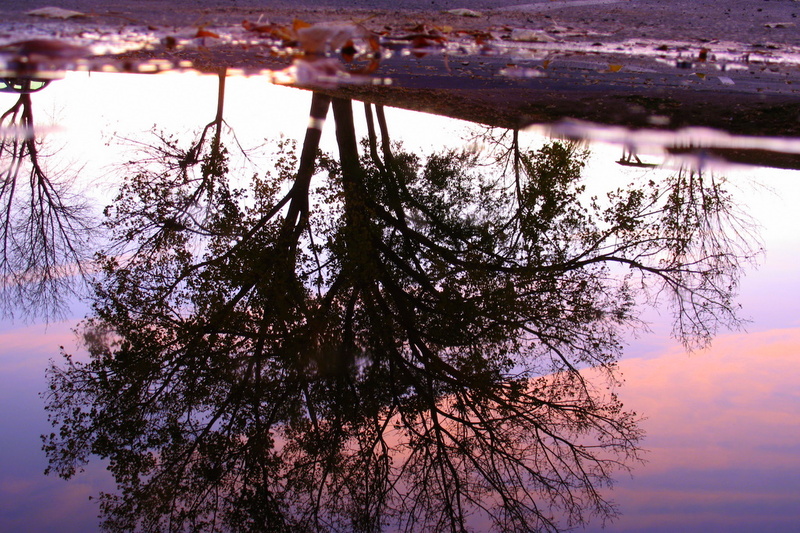 It's amazing what kind of photo one can get looking into a puddle about the size of a cowboy hat. I agree, since starting my blog, I've never looked at puddles the same either!! This one is a knockout--homerun out of the park, dude! Love the pink and blue. And I like it upside down.